See more COACH Shoulder bags. 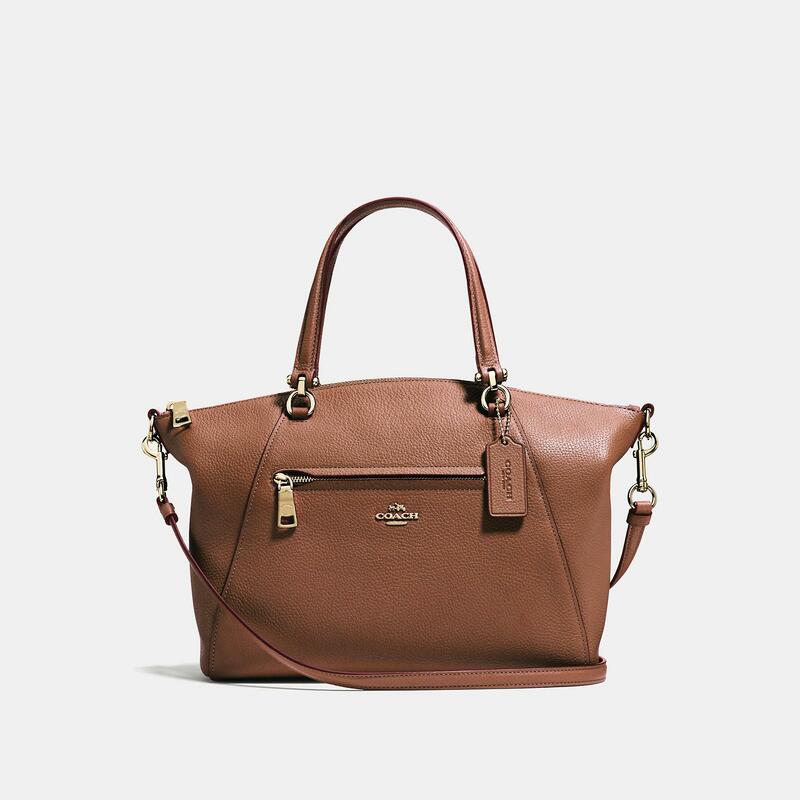 We check over 450 stores daily and we last saw this product for $396 at COACH. The Prairie satchel is a versatile, everyday bag crafted in polished pebble leather. Carry it by the handles or use the detachable strap for crossbody wear. Instantly change the look of your bag with an interchangeable strap. 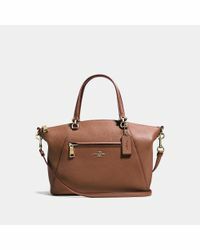 Polished pebble leather Inside zip pocket Zip-top closure, fabric lining Handles with 5" drop Outside zip pocket Detachable strap with 21" drop for shoulder or crossbody wear Compatible with Coach interchangeable straps 10 1/2" (L) x 8 3/4" (H) x 3 3/4" (W).